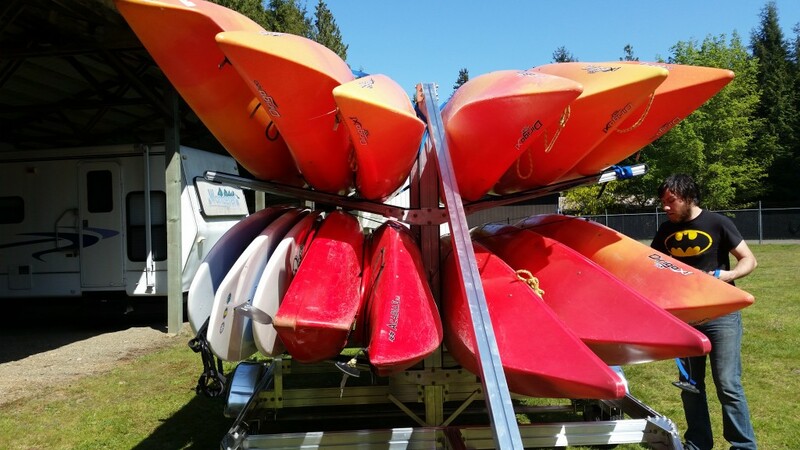 If you choose to rent kayaks for a full day or for multiple days, you can have your kayaks delivered! Kayak Brinnon offers paddle board and kayak delivery service to waterfront vacation homes, local beaches, campgrounds and boat launches. You may also pick up your kayaks from our beach location. We provide complementary straps and cushioning so you may strap kayaks and paddle boards on top of your car or in the bed of your truck. For hourly rentals most choose to paddle out from our location at Yelvik’s Beach. Our normal delivery area is between Hoodsport and Quilcene. Delivery rates depend on location but generally run between $10 and $75. You may also have kayak sized crab pots delivered during crabbing season. Deliveries outside our normal delivery area may also be arranged. Charges include pick-up and is charged per load, not per kayak. Have kayaks delivered to you!